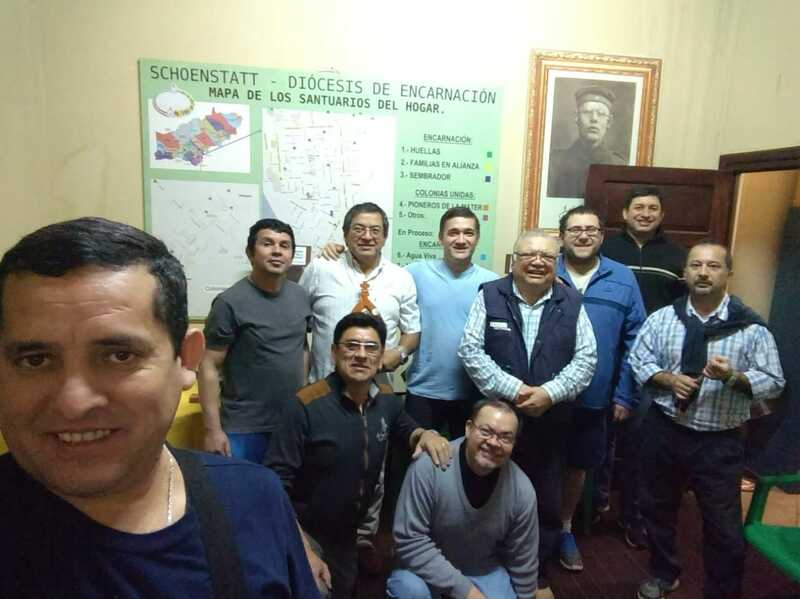 When my husband Enrique González, with whom I belong to the Ministry of Hope (Schoenstatt Groups of Divorced and Remarried Couples) since 2013, found out about the group, he approached it out of “curiosity” according to him, since he wanted to learn how to pray the rosary. However it was the Blessed Mother who called him, and with gentle persuasion she gave the task to a loyal son who from the first moment said “Yes, here, I am.” Meeting days on Tuesdays at 7:00 pm were set and from the beginning, his commitment became sacred and necessary. The Blessed Mother worked on his life like in so many other men, who with sweetness and tenderness she transforms their lives, working on their needs, calming their sorrows, and anguish. 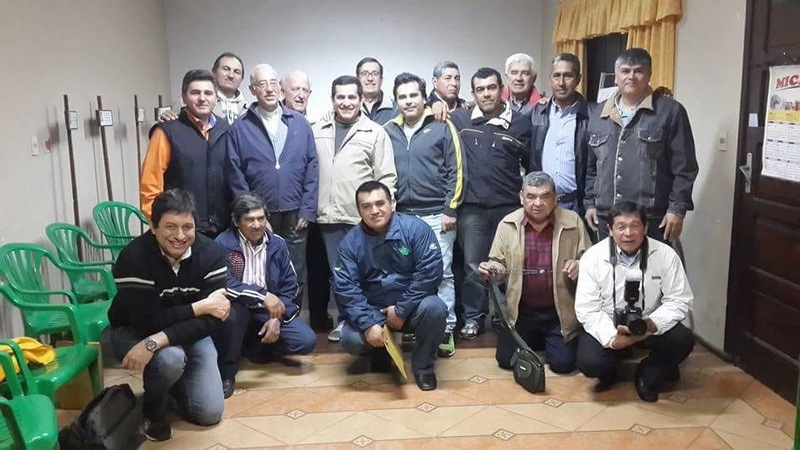 The group accompanied a member of the Men`s Rosary, Juan Báez, in his illness. 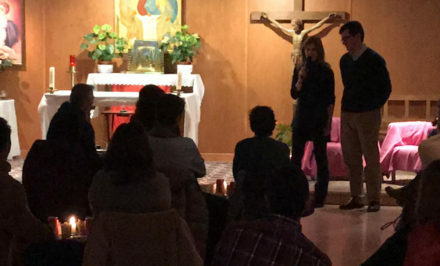 He had cancer, and for a long time, he waited every Tuesday to meet with his companions of the rosary to share that moment of prayer and of strength. He said the rosary was his medicine, was what allowed him to wake up every morning, and extended his life to enjoy his family. However despite the doctor’s bad prognosis, he lived longer thanks to holding on to Mary and the rosary, because God has the last word. Juan’s strength and commitment were extraordinary. 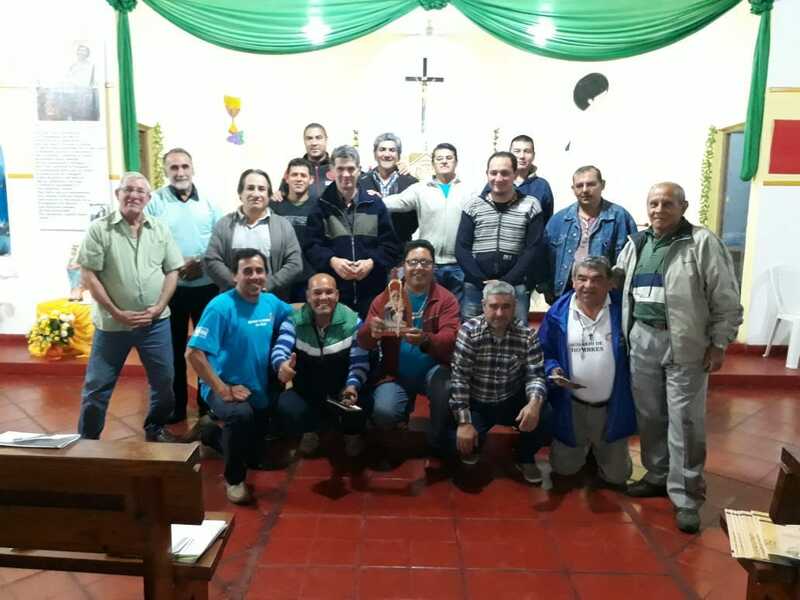 He did not allow himself to be conquered by discouragement, since he joined the apostolate at the Regional Hospital of Encarnación; he even attended a retreat for Brave Men in Tupãrenda. At his funeral and the novena afterwards, all the men were present in their uniforms wearing t-shirts to support his family, who was grateful and touched for the presence of his companions he loved and remembered so much until his last dwelling. Juan Luxhin also went to several meetings before a heart attack that hospitalized him for some days, before being called to the meet with the Lord, and the companions were also there praying with him in the hospital, transferring the meeting to where it was necessary in order to be able to accompany their friend in prayer. The Brave Men go wherever they are needed, be it a wake, novenas, or as representatives of the men who pray the rosary and to teach whoever wants to learn how to pray it. Moreover they are assigned to the first Wednesday of the month before the Mass in the Cathedral of Nuestra Señora de la Santísima Encarnación. The Rosary Campaign is in charge, and they have prayed for the conquest and enthronement of the Blessed Mother since March 2017. Currently they have several points for prayer. They have conquered hearts and they enkindled many men they invited to spread this beautiful devotion catching the attention of men and women that admire these men with their powerful voices humbly kneeling in front of the Blessed Mother to give her their heart and commitment. On 7 April 2017, in St. Martin Porres Chapel that belongs to Immaculate Conception Parish of Encarnación on Fridays with Rodolfo Oviedo in charge. 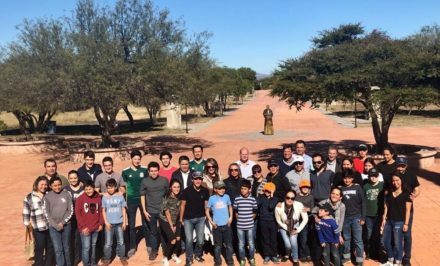 On 11 August 2017, through the hands of Rodolfo Oviedo, along with his son-in-law, Héctor López, it crossed the border through the San Roque González de Santa Cruz International Bridge where the meeting place was established in St. Francis Xavier Chapel in Posadas, on Friday. They also continue the mission with profound love and commitment, beginning at another point in the chapel of St. Mark on 28 September 2017, both belong to Christ the King Parish. On 6 January 2018, after the blessing of the MTA Wayside Shrine by Fr. 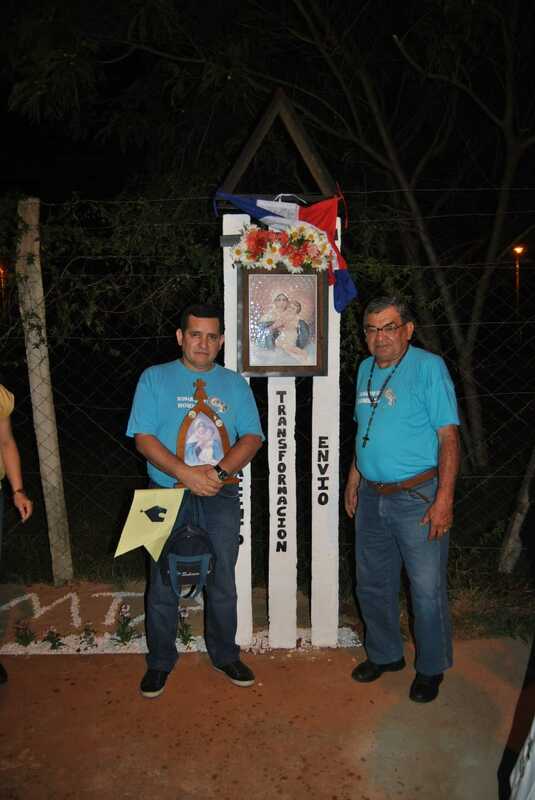 Antonio Cosp, and conquered by the missionaries of the Rosary Campaign from the Distrito de Cambyreta, two missionaries’ husbands became enthused with praying the rosary and Rodolfo Widman accompanied them. 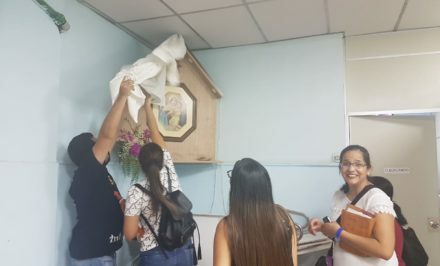 They prayed on Thursdays, until they moved the location for prayer to the Chapel of the Virgin del Paso de Itape de San Miquel a block and a half from the wayside shrine. 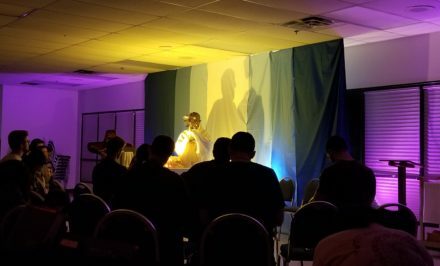 During all this time, we have heard many testimonies of inner transformation that manifested exteriorly, like the case of my husband, who is the current diocesan coordinator, who does not hesitate to share his personal experience and the wonders that the Blessed Mother has worked in him. This is mainly through the rosary, since, from this profound prayer of contemplation of the life of Jesus, and the peace that this beautiful devotion instills. The fact can be affirmed that it molded different aspects of his character, refining his life even in the profession that he carries out as a lawyer, which with profound devotion, he many times helps those who need it, and he even prescribes the rosary like a medicine and help to the judicial processes, which besides leveling the way, it gives confidence and peace to those who struggle for their rights in a trial. As a family man, my husband prays the rosary at dawn in our Home Shrine before the day begins, all to conquer our daughter shrine. Currently, Ian Santiago, our 8-year-old son, prays three times a week before going to sleep; he does this on his own initiative, conquering his room shrine as of now. Moreover he learned to lead the rosary, he feels very secure, and he sleeps with the rosary under his pillow. 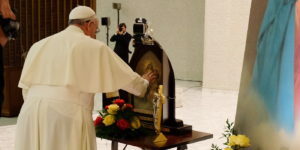 He also has been a missionary of the Blessed Mother since pre-school, several times he took the Pilgrim Mother to school, and he even invited his teacher to be a part of the Professional Branch. That is how we live enjoying the graces we are given by praying the rosary in our family. 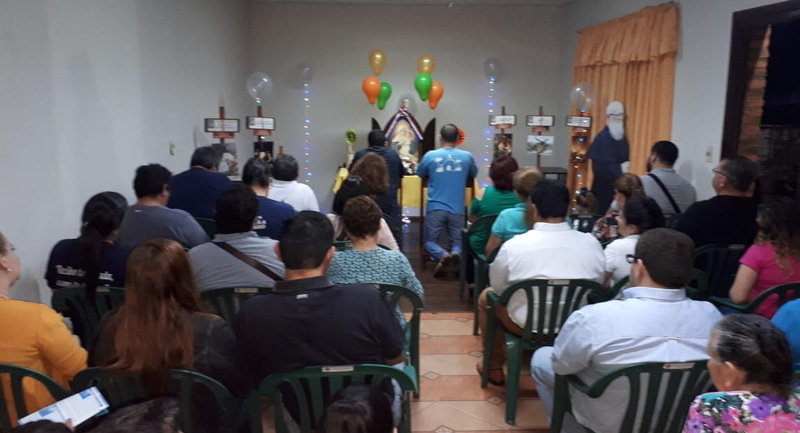 Since December 2014, with the idea of sharing the blessings we have received and with the premise that “faith without works is dead” (James 2:26), the need emerged to have a breakfast apostolate at the Regional Hospital of Encarnación, which consists of taking cooked rice with milk and bread every Sunday to those who are accompanying those in hospital. Through the little we could give, we had many testimonies of joy and gratitude around the lives of these people of limited resources, who come from the interior of the department with barely what is necessary for their expenses. However it means so much to the one who receives it, since more than once they said that it was their only meal of the day. So we do not limit what they consume. We serve them as many times as they want, and we even leave a thermos if they want it. This preparation is done in the previous days with the contribution of those willing to do it, and each one gives what they can, or in the case of the distribution to the poor everyone can contribute, this fosters unity and community. Then on Sundays at 6:00 am, they gather in the Casita to prepare approximately forty liters of cooked rice with milk, sweet and hot along with a recently baked cookie purchased at the supermarket. Without exception, it is served in thermal glasses that are well sanitized for everyone. This breakfast became a tradition during almost four years, and it includes the personnel in white and administrative staff that waits for them to taste the delicious cooked rice with cookies. If for some reason they could not attend, the following Sunday, the welcome is with the complaint “we missed you the Sunday you did not come.” Thanks to God there is always enough and even some left over, like the multiplying of loaves. Since it is a work done with love to serve other, we see the Lord’s hand that always accompanies. It was also customary to have lunch once a month. However since everything is done at no cost… sometimes it has been impossible to cover the expenses, so it was discontinued. It is true that there were also times that a contribution was received by those who felt the need to do it, although it is no one’s obligation; if it is received it will always be welcome, there is a will to do it, but there is a lack of resources. As training, besides the rosary, they also carry out workshops. 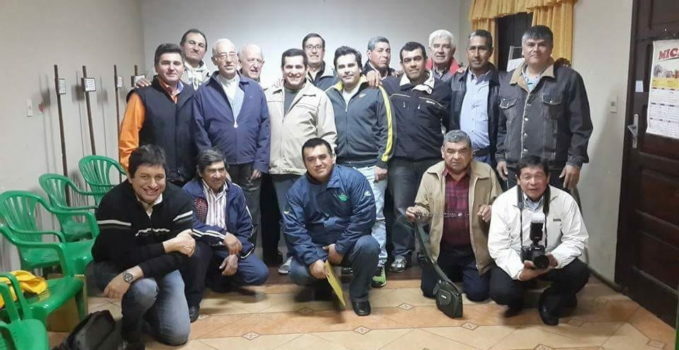 They have an annual retreat and pilgrimage to Santa María once a year to carry out Joao Pozzobon’s travels. The Brave Men were in charge of starting a novena of the rosary; they were accompanied by a group of the Blessed Mother’s Pilgrims from the Family Branch. Ricardo Garay, treasurer of Encarnación at 0961 307712.